Dimple base heavy weight glass tumbler. Can be supplied invidually or as a pair in a satin lined presentation box. 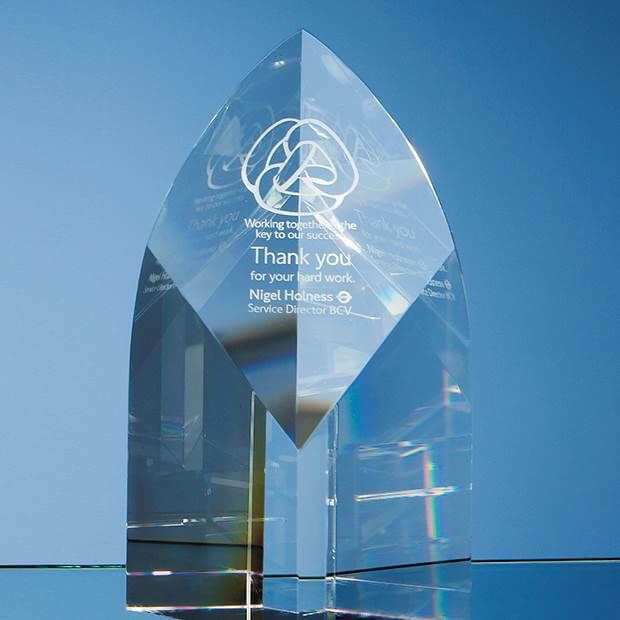 Clear glass crescent award available in 5 sizes which can be branded by engraving or printing. Supplied in individual white gift boxes. Mini decanter with a glass stopper supplied in a satin lined presentation box with 2 mini shot glasses. All 3 items can be engraved with your logo.